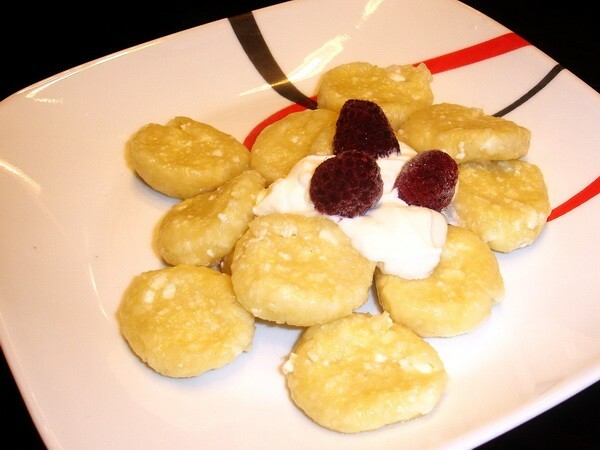 There are many varieties of this traditional Ukrainian dish – plain wheat flour galushki, galushki with mashed potatoes, galushki with semolina. Our favorite kind is galushki with cottage cheese. Takes me 30 minutes max to fix it up, but might take a little longer if cooking for the first time.